February is an important time of year to focus on heart health. While stores, commercials and restaurants overwhelm us with hearts and romance reminders throughout Valentine season, there's more we can do for the ones we love than give them chocolate or candy hearts. Heart disease is the leading cause of death for both men and women in the U.S. accounting for 610,000 deaths; one in four every year. Coronary artery disease, the buildup of plaque in the arteries of the heart, is the most common type of heart disease, killing over 370,000 people annually. A heart attack can be debilitating or even fatal, so heart attack prevention is important especially over the age of 40. 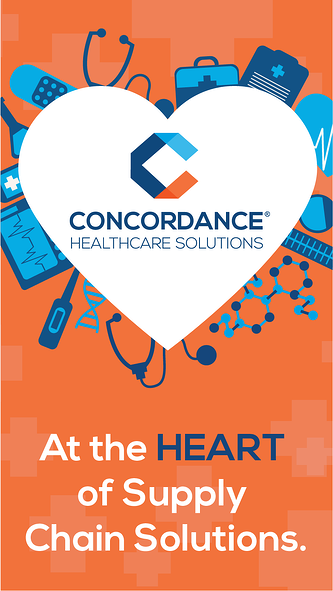 Your health and the health of all patients is at the heart of what we do at Concordance. Share the information below with fellow healthcare providers, patients and family members to continue building awareness about heart disease and heart health. Maintaining healthy habits including moderate regular exercise; a balanced diet consisting of lean meats, fruits and vegetables; and a regular sleep cycle of six to eight hours nightly are important to support heart health. In addition to these helpful daily habits, routine health screenings are an additional component to maintaining heart health. Blood glucose - High blood sugar levels increase your risk of developing pre and type 2 diabetes and when left untreated, can lead to heart disease or stroke. Blood pressure - Blood pressure should be checked during annual primary care visits. High blood pressure can damage the heart and eventually lead to coronary artery disease or even heart failure. Cholesterol testing - LDL, or "bad" cholesterol, should be checked regularly and more frequently in those with increased heart health risks. Estimate your unique risk here. Simple changes can help make being healthy much easier. 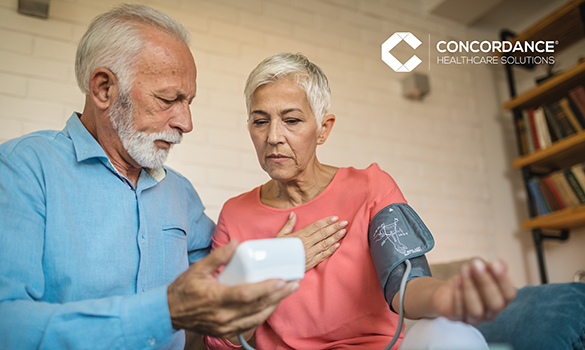 Stay on top of preventative care and be sure to discuss your unique risks with your primary care physician, especially if you're 45-55 years of age. Concordance Healthcare Solutions can provide you with everything you need from products and supplies to furniture and furnishings whether you are a single practitioner, specialty clinic, community health center or a physician group. Contact us to learn more. *This blog is not intended to be a substitute for professional medical advice, diagnosis or treatment.